The dormitory is centrally located, just off the main road on a quiet and safe street where is only 10min walk to the old market. 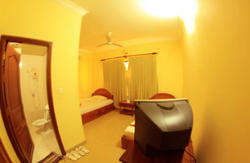 It is not far from the airport which takes only 10min by Tuk tuk or motor taxi. The hostel offers clean and comfortable bedrooms equipped with air conditioner and guests can watch cable TV at the lobby. Please note: the hostel doesn’t offer any breakfast. However, there are a few great restaurants open for breakfast as early as 6am just around our street corners. Free WiFi is provided. 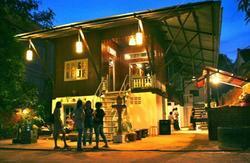 The hostel can help to arrange all types of Angkor tours and Siem Reap tours with great tuk tuk drivers and tour guides. They will give guests all the information for temples, restaurants and other attractions. 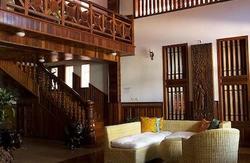 Their goal is to help guests get the most out of time in Siem Reap. Tourist information on Angkor tours, adventure activities, local sights, spa recommendations and local market shopping advice within Siem Reap. All bus, boat, and flight booking are available. If you go from airport, you will spent only 10 minutes by Tuk tuk or motor taxi and it maybe 4$ for transportation. But if you come from bus station,it will take 5 minutes. You can tell your driver about this place by calling me.